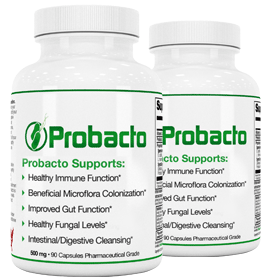 Probacto is dedicated to help people with candida yeast infection, you will find articles on how to treat and eliminate candida forever. Stomach Acids: Just How Important Are They? Chopping boards have been a component of the kitchen for a long time. The convenience they bring when it comes to chopping food is unparalleled. If eliminated, working in the kitchen would become a cumbersome experience. Wooden and plastic chopping boards are the most commonly used types of chopping boards. Others made of glass, steel or marble have recently become available in the consumer market. They are all available in a variety of sizes and shapes. However useful they may sound, chopping boards if not cleaned and disinfected properly can be a breeding ground for various disease causing bacteria and other organisms. Various types of illnesses such as food poisoning can result from using contaminated chopping boards. 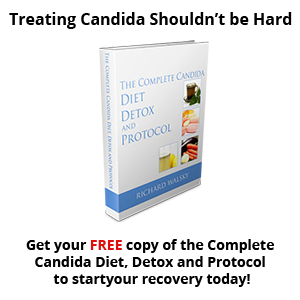 Food poisoning is a very unpleasant experience as can be witnessed by anyone who has been unfortunate enough to come down with it. When most of us hear about it, a shoddy food establishment or takeaway that is not so fresh looking jumps to mind. Getting food poisoning from food prepared at home is a common occurrence that many individuals are not ready to admit. Healthy eating begins in the kitchen. If the food is prepared in contaminated utensils and basic hygiene is not observed, there is a real risk of getting food poisoning sooner or later (www.nhs.uk/./foodpoisoning tips). The following text explains in detail about the health risks that are linked to chopping boards made of different materials. Wooden chopping boards have existed in kitchens for centuries now. They are a favorite among many people because they do not cause blunting of knives. Wood is a porous material. This means that substances that come in contact with the surface can leak into the wood substance. This can raise concern in the mind of any kitchen user. What if the microbes just get a comfortable place to multiply that is hidden from the action of cleaning detergents? 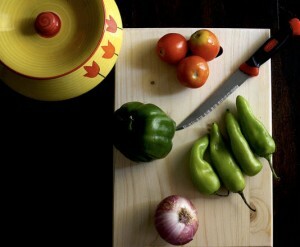 Plastic chopping boards have many advantages. They are cheap, non porous, easier to clean in comparison to their wooden counterparts and come in a variety of colors. The later quality is especially useful because it becomes easy to differentiate between the different chopping boards in regards to their use. That said, not all is rosy when it comes to plastic chopping boards. To borrow from the study above, new and used plastic boards were also incorporated into the study. The results showed that after cleaning, the new plastic boards yielded small amounts of bacteria. However, the story was different for the used boards. The knife scarred nooks yielded high amounts of bacteria even after cleaning. When a knife cut into the plastic surface, the findings on examination were not encouraging because of the high bacteria count that was recovered. Washing the boards in the dish washer did not eliminate the problem either. The bacteria simply moved from the board and settled in another part of the machine where they continued to multiply and were distributed onto other utensils. However, there are some people who still advocate the use of plastic chopping boards over wooden chopping boards. When it comes to cleaning a wooden chopping board, use of hot water with soap will suffice. An earlier study concluded that this mode of cleaning was effective regardless of the type of wood used in manufacturing the board (Ak et al 1994). Cleaning in the dishwasher is not recommended because it causes the wood to crack, split or warp. When it comes to drying of a wooden chopping board, preference is given to the use of clean paper towels or air drying. A dishtowel is not recommended as it is a fertile ground for multiplication of bacterial colonies. This is because of its multipurpose use and the fact that it is often damp. Drying the board with a dishtowel nullifies the cleaning that is already done. When constantly washed, a wooden board loses its oily surface and this increases its porosity. Regular oiling with mineral oil and waxing with bee wax is a sure way to keep the board water resistant and increase its life. With the advent of modern technology, microwaving a wooden board has been found to be very effective in sterilizing it but this can only be done if it can fit in the microwave oven. However, when doing so, care should be taken to avoid sparking off fires! Worn out chopping boards should be replaced with a new one and remember to replace them regularly. Using the same chopping board to prepare meat, vegetables and breads is a definite no. A recent food report in the USA found out that up to 80% of chicken available at consumer outlets was contaminated with either salmonella, campylobacter or both. It is not hard to imagine what happens when vegetables are prepared after the chicken without the board being well washed in between. The bacteria left on the board find a haven in the vegetables. Currently, vegetables are eaten raw or half cooked. Depending on the heat process to kill the microbes is therefore out of the equation. Inevitably, the bacteria that were on the meat end up in the stomach. It is as though one ate the raw meet directly. Sooner or later, one comes down with food poisoning popularly known as stomach flu. It is therefore advised, to use at least two chopping boards with one of them being dedicated exclusively for use when preparing meats. Chopping boards are the commonly used kitchen tools. Cleaning and disinfecting them in a correct manner is very important to prevent food poisoning and other such food borne illnesses. Sign up to get the latest in Candida News. 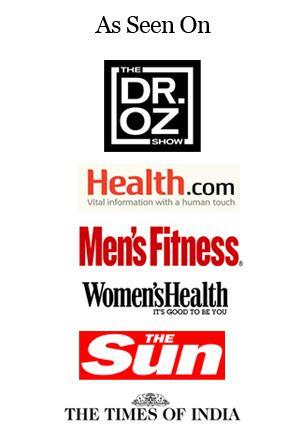 Visit our Archive to browse our publications. Visit our Probacto Parasite Blog for more information on parasite causes, symptoms and treatment.